Deborah Sampson was born today, December 17, in 1760. She was a Massachusetts woman who disguised herself as a man in order to serve in the Continental Army during the American Revolutionary War. She is one of a small number of women with a documented record of military combat experience in that war. She served 17 months in the army under the name "Robert Shirtliff," was wounded in 1782, and was honorably discharged. Sampson was approximately 5 feet 9 inches tall, compared to the average woman of her day, who was around 5 feet, and the average man, who was 5 feet 6 inches to 5 feet 8 inches tall. Her biographer, Hermann Mann, who knew her personally for many years, implied that she was not thin, writing in 1797 that "her waist might displease a coquette". He also reported that her breasts were very small, and that she bound them with a linen cloth to hide them during her years in uniform. In early 1782, Sampson wore men's clothes and joined an Army unit in Middleborough, Massachusetts, under the name Timothy Thayer. She collected a bonus and then failed to meet up with her company as scheduled. Inquiries by the company commander revealed that Sampson had been recognized by a local resident at the time she signed her enlistment papers. Her deception uncovered, she repaid the portion of the bonus that she had not spent, but she was not subjected to further punishment by the Army. In May 1782, Sampson enlisted again under the name "Robert Shirtliff," and joined the Light Infantry Company of the 4th Massachusetts Regiment, under the command of Captain George Webb (1740–1825). This unit, consisting of 50 to 60 men, was first quartered in Bellingham, Massachusetts, and later mustered at Worcester with the rest of the regiment commanded by Colonel William Shepard. Light Infantry Companies were elite troops, specially picked because they were taller and stronger than average. Their job was to provide rapid flank coverage for advancing regiments, as well as rearguard and forward reconnaissance duties for units on the move. Because she joined an elite unit, Sampson's disguise was more likely to succeed, since no one was likely to look for a woman in a unit made up of soldiers who were specially chosen for their above average size and superior physical ability. During the summer of 1783, Sampson became ill in Philadelphia and was cared for by a doctor. He removed her clothes to treat her and discovered the cloth she used to bind her breasts. Without revealing his discovery to army authorities, he took her to his house, where his wife, daughters, and a nurse took care of her. The doctor's niece fell in love with Robert/Deborah, and the truth had to be revealed. In September 1783, following the signing of the Treaty of Paris, November 3 was set as the date for soldiers to muster out. When the doctor asked Deborah to deliver a note to General Paterson, she correctly assumed that it would reveal her gender. In other cases, women who pretended to be men to serve in the army were reprimanded, but Paterson gave her an honorable discharge, a note with some words of advice, and enough money to travel home. She was discharged at West Point, New York, on October 25, 1783, after a year and a half of service. 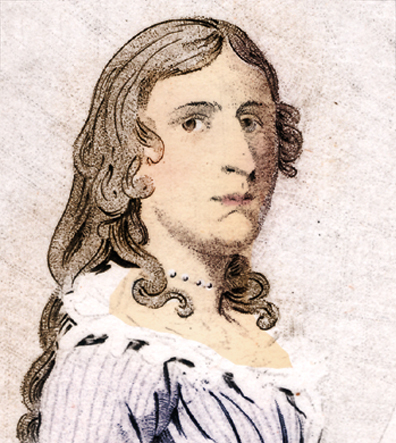 Deborah Sampson was married to a farmer and had three children. They also adopted an orphan. Their farm was smaller than average, and coupled with the depression in the post-war economy, this left the family on the edge of poverty. In 1804, her friend Paul Revere wrote to U.S. Representative William Eustis of Massachusetts on Sampson's behalf to request she receive a military pension. Congress approved the request and placed Sampson on the Massachusetts Invalid Pension Roll at the rate of $4 a month. Sampson died of yellow fever at the age of 66 on April 29, 1827.